Printers are the pillars of office equipment in the house, schools and in every business. The cost of printer ink cartridges is part of the chunk of the monthly expenses. Since printing is used daily often to print small or large-volume printing, we should be aware when to replace the ink of the printer to ensure the quality of the print especially in colored and with images. Pale colors – It is an alert sign that your printer ink cartridge is nearing its limit when the color of your images is not as bright and vivid as it used to be. The black color is already printing gray or very light gray. Colors are becoming very pale and very light. The dress is printing light pink instead of the bloody red color. This is a red flag that you have to replace the ink soon. Ink Warning – Low ink warning differs from one printer to another. Most printers display warnings or indicators when the ink is low. Some printers have software installed on the computer. A notification pops up on computer screen or on the printer screen and some are flashing light reflected on the printer. Low Ink Coverage – When you notice that your printer is not printing evenly and is skipping some parts, your ink cartridge is already running close to empty. If you are in the middle of printing high-volume prints, it’s time to replace the ink cartridge to prevent work delay. Streaks and Spots – if your ink cartridge is nearing empty, you sometimes see horizontal or vertical streaks and spots here and there. This is because the printer head is not coated evenly during printing. 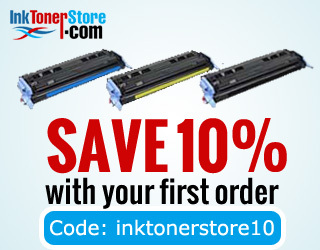 It’s time for you to shop for a new ink or a new set of an ink cartridge.